One of my favorite ways to eat pumpkin seeds is roasted straight out of the pumpkin with a sprinkle of cinnamon and sugar. I even eat them plain! When it’s not Halloween season, I pick up a pack of raw pumpkin seeds to add to anything from trail mix, oatmeal, or salads, to eating them straight out of the bag. 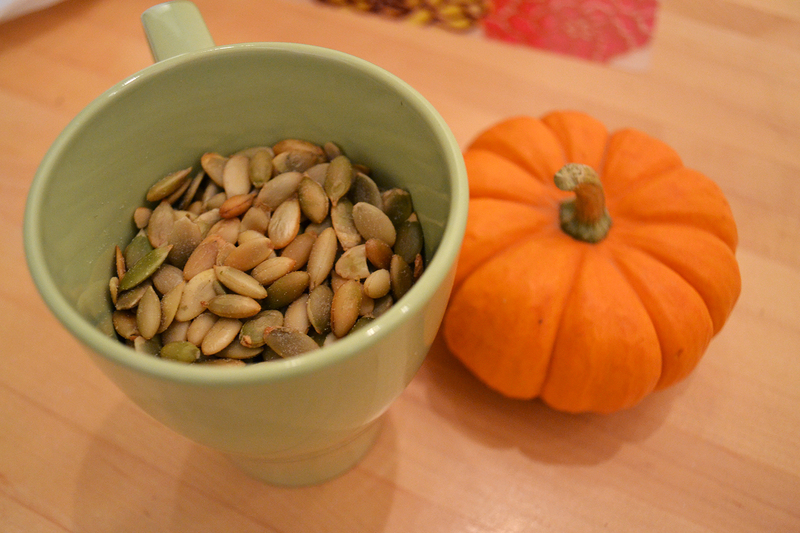 Pumpkin seeds should be a woman’s best friend because they are a great source of iron. Women are naturally deficient in iron, especially during their menstrual cycles. While it may not be appetizing to discuss the menstrual cycle, eating pumpkin seeds can help combat iron deficiency during that time of the month. Just as Popeye eats spinach to get his power boost, eating pumpkin seeds will boost your iron levels and keep you energized throughout the entire day. Whether you’re working on a boat or just going to class, pumpkin seeds are one of the best ways to make it through the day without hitting up Starbucks. Another way to reap the health benefits of pumpkin seeds is to use them to add some crunch to a baked treat. 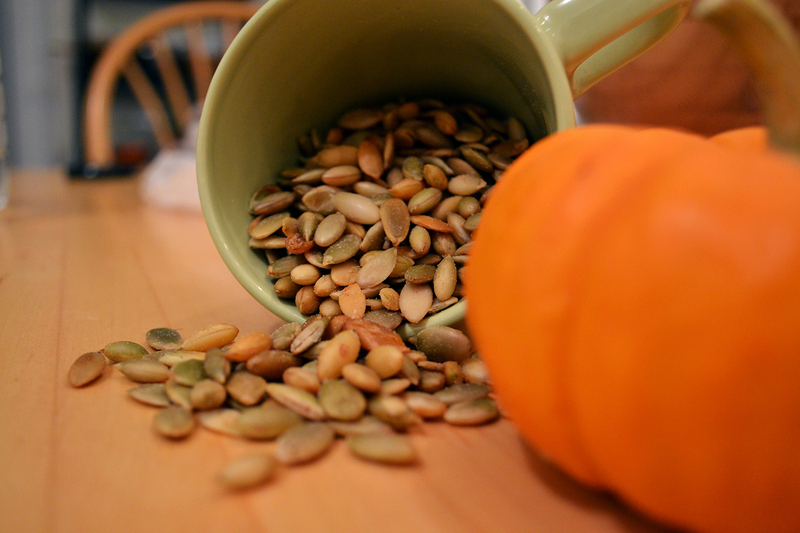 Here is one recipe I have been dying to try that features both pumpkin and its wonderful seeds. If you make it, let me know what you think! Kathy’s Fall Pumpkin Muffins from Healthy Happy Life Makes 12 muffins Active time: 20 minutes. Total time: 45 minutes. Preheat oven to 375 degrees. Add all the dry ingredients to a mixing bowl. Blend together. Add in all remaining ingredients, fold well by hand. Stir until batter becomes smooth. This pumpkin-y batter has a dense body to it. Add 1/2 tsp cayenne and an extra 1/2 tsp of cinnamon to the batter. Also fold in an extra tsp of orange zest and a pinch on top of each muffin before baking. Line 12 muffin tins with paper or lightly grease the inside of each tin. Pour batter to almost fill each muffin tin. Add an extra sprinkle of roasted pumpkin seeds on top as well. Bake muffins for 25 minutes at 375 degrees.